I was overwhelmed with entire labeling process. Learning what adhesives would work with my product packaging. 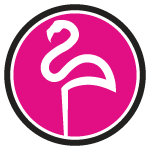 Then a friend of mine recommended Flamingo Label. Their sales staff recommended several samples for testing, and we found a great solution. Best recommendation I've ever received. Why SHOULD I Choose Digital Color Printing? There are advantages to digital printing labels. Colors are often are more vibrant and that can be used for practically any project. Most start up companies choose digital solution because its cost effective. Once they begin to understand their market owners often move toward flexographic printing because of reducing costs per label. Below are five typical reasons people choose digital label printing. Quick Turnaround – Digital label printing doesn’t require plates which means you don’t have to pay for a printing plate for each color on the label. No plates also means a shorter setup time so your labels are printed faster – and you receive your labels quickly. High Quality – When it comes to product labels, vibrant high-quality graphics grab the most attention. Our digital presses prints at a resolution of almost double that of traditional flexographic label so your labels end up with crisp, clear images and life-like colors. Price – No plates and less press setup time means the costs for digital label printing are relatively low for short run labels as compared to flexographic labels. 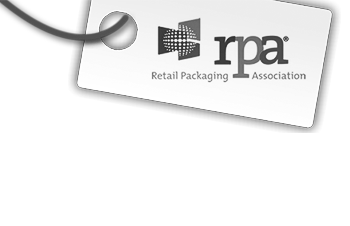 Short Run Labels Capability – This cost benefit is maximized for relatively small quantities of custom labels or “short run labels.” Another advantage of digital printing: you can order only the amount of labels you need right now, rather than ordering labels in bulk simply to get the best price. Design Flexibility – In order to be competitive, you should regularly examine whether your design works or not for attracting your target audience. The cost of printing new label designs on a flexographic press can be hurt your bottom line due to plate charges and setup fees. If you have multiple product label designs, costs can add up even quicker. With digital printing, there are no plate or setup fees, so we can start printing your labels right away. Digital printing is popular across many markets because it can print 1 – 1000 custom labels within a short time period.